Lights! Camera! Action! York Region set to video stream in late 2018! 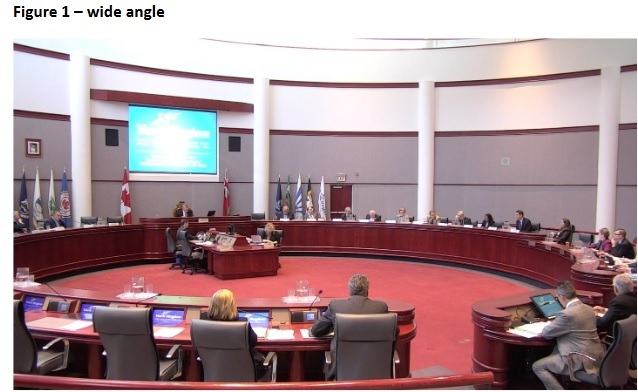 York Regional Council has finally decided to video stream Council and Committee of the Whole meetings - from late 2018. Just in time for the first ever Region-wide election of the Regional Chair. They have been agonising about this for years, many believing it to be a rash and impetuous leap into the unknown. "I don't think we should be zooming in." He wants a static long shot of the Council Chamber and one camera on each side, preferably bolted onto the structure of the building, staring fixedly ahead. Scarpitti is not against archiving meetings but worries what will happen to the images. Who gets access to them? He fears his image could be in high demand. He could be compromised. "The material can be manipulated for political purposes!" I am listening to the exchanges at home, hunched over my old 1950s radio. Now, in a rare intervention, I hear the familiar voice of Newmarket's Tony Van Trappist. He is worried about the bright lights (at a dazzling 700-900 lux) reflecting off his bald head, blinding his colleagues. I hear sounds of gentle mirth. "You wanted a cadillac. Anything less than that, you wouldn't be happy!" Now we hear the cameras may need a dedicated operator. 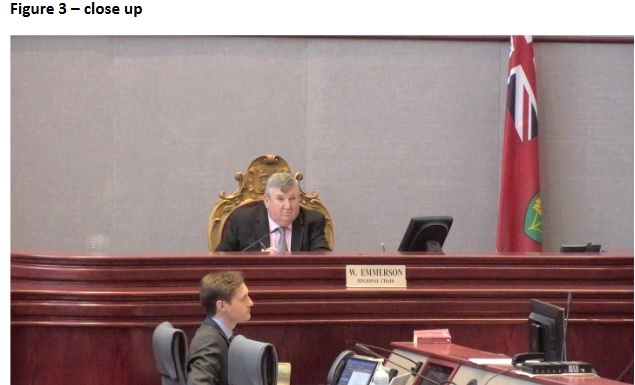 "Depending on the complexity of the system additional staffing may be required to supplement the two staff that currently provide audio and visual support for Committee and Council meetings." Now its a race to the bottom to see who can provide video streaming at the lowest possible cost. Of course, most lower tier municipalities have been putting their meetings out on the internet for years and no-one noticed. A handful of people tune in plus one or two local journalists and, from time to time, people like me with a bee in their bonnet. The school swot, Markham's Jack Heath, says it only cost $1,000 to put in a system in Markham. He says the Region's plans are extravagantly gold plated. "This is growing like Topsy!" Despite the crackly interference on the old radio I think I can make out the gentle voice of the knowledgeable Margaret Quirk from Georgina. They have a very rudimentary system up there that cost a couple of hundred dollars. Not many people tune in. It's very popular with the councillors. Sorry... her voice is fading. 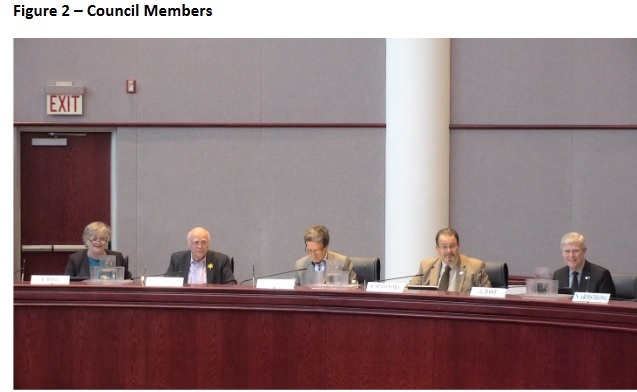 Regional Councillor Michael Di Biase, a man never far from controversy, has resigned from the City of Vaughan Council and York Regional Council.